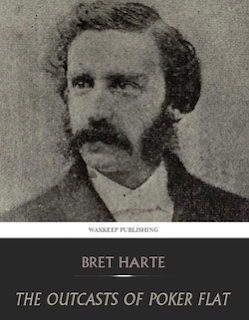 First published in 1869, the short story “The Outcasts of Poker Flat” by the American poet and fiction writer Bret Harte presents readers with a thought-provoking sketch of the Old West in which poker’s complicated status within American culture is ably presented. The story opens in late November 1850 in the interestingly named California town of Poker Flat. John Oakhurst, a professional gambler, correctly senses a sudden alteration in the town’s “moral atmosphere” thanks to the strange behavior of others to his presence. Sure enough, in a “spasm of virtuous reaction,” a secret committee has been formed “to rid the town of all improper persons,” Oakhurst included. Oakhurst is described as receiving his punishment with “philosophic calmness.” “He was too much of a gambler not to accept fate,” we are told, and indeed it is this recognition of that which he cannot control Oakhurst has learned at the tables that marks his character and foreshadows the story’s conclusion. We follow the four outcasts out of town as they travel toward neighboring Sandy Bar, a trek that requires a difficult passage through the Sierras. The trip could be accomplished in a day, but after traversing half its length the group attempt to persuade Oakhurst into stopping and setting up camp for the night. Using a poker metaphor, he argues against their “throwing up their hand before the game was played out,” but ultimately gives in. While the others get drunk, a young man named Tom Simson happens on the group, accompanied by his girl, Piney. The pair are traveling in the opposite direction, leaving Sandy Bar for Poker Flat in the hopes of getting married starting a new life there. Oakhurst knows Simson from having played poker with him before at Sandy Bar. In fact, Oakhurst cleaned out the youngster -- referred to in the story as the “Innocent” -- then afterwards gave him back the money he’d won, instructing him never to gamble again. For this gesture Simson remains grateful, and Oakhurst again helps Simson by arranging to allow him and Piney to camp with the others. The skies -- and story -- take a dark turn, however, as they awake the next day to discover a snowstorm. And making matters worse, Uncle Billy has stolen off with the mules, leaving the remaining five no method of escape. Yet poker has prepared him well for the present trial. Long sessions have meant he’s “often been a week without sleep,” thus enabling him better to handle the test of physical endurance the trip has presented. Poker has also helped equip Oakhurst with a kind of mental fortitude to withstand the sudden misfortune that has befallen the travelers. He additionally notes the “streak of bad luck since we left Poker Flat” and how Simson has now been made to share in it. However, after a lifetime of riding out such downswings in fortune, Oakhurst soon comes to realize this to be one instance in which his luck will not changing. They reach the end of their provisions, and Mother Shipton -- who, it is discovered, has been starving herself to save food for the others -- perishes. Oakhurst then takes Simson aside, provides him with a pair of snow shoes, then points him in the direction of the town where he and the others cannot go, Poker Flat. When the “Innocent” asks Oakhurst what he intends to do, the answer is brief and to the point. Alas, although we never learn of young Simson’s fate, his attempt to rescue the others fails as the final scene shows “the law of Poker Flat” discovering the Duchess and Piney having died. “You could scarcely have told, from the equal peace that dwelt upon them, which was she that had sinned,” the narrator observes. The group also find Oakhurst “with a derringer by his side and a bullet in his heart,” having shortened his own life by an extra day or two in the hopes of extending those of the others. 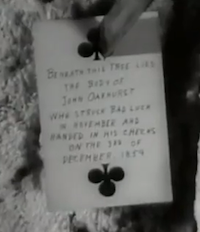 Before killing himself, Oakhurst pinned a playing card to a pine tree with his bowie knife, his choice of the deuce of clubs perhaps symbolizing the decreased value he’d estimated his remaining moments to possess. The story ends somewhat enigmatically with the narrator referring to Oakhurst as “at once the strongest and yet the weakest of the outcasts of Poker Flat,” although such a paradoxical character assessment can be explained. What distinguishes Oakhurst -- or makes him the “strongest” -- is his correct understanding of the way poker requires one to accept the influence of luck, both good and bad. In other words, it is not an immoral game for “improper persons,” but an activity for mature adults able to accept and withstand the game’s inevitable ups and downs. That said, poker isn’t for everyone. Young Simson -- the “Innocent” -- isn’t prepared for its challenge, something Oakhurst recognized after playing with him back at Sandy Bar. Nor are those committee members whose response to losing at cards is to punish the victors with execution or exile, and to group poker with other activities thought to violate their self-righteous (and hypocritical) sense of virtue. “The Outcasts of Poker Flat” neither champions nor condemns poker, but rather evokes the game to suggest certain ideas about human nature and our relative willingness and/or ability to withstand misfortune. 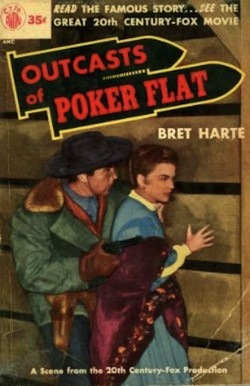 Harte’s story also provides an interesting commentary on poker’s ambiguous status in American culture both then and now, showing how the game has much to teach us -- if we can be mature enough to accept its lessons, that is. On Tuesday I posted something over on Ocelot Sports regarding the Miami Heat’s amazing 27-game winning streak. Am glad I managed to do that when I did, as last night the streak was finally halted by the Chicago Bulls. 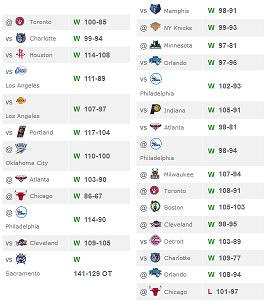 Was quite something for the Heat to have managed to keep the streak alive as long as they did, although it is probably better for the team that it ended a few weeks shy of the playoffs. With the best record in the Eastern Conference already essentially locked up and the NBA’s overall best record firmly in hand -- they’ve yet to clinch that, but likely will within a few more games -- the Heat could probably use a breather to rest some players during the last few regular season games. Following last night’s loss to the Bulls, Miami Heat forward Shane Battier offered some comments about the game and the streak as a whole that I found interesting. Battier, by the way, has been getting some extra attention of late for having also been part of the 2007-08 Houston Rockets team that won 22 games in a row, previously the second-best NBA mark behind the all-time best 33-game winning streak of the 1971-72 Los Angeles Lakers. In college Battier was also was part of a Duke team that won 32 straight games during the 1998-99 season. It was a compelling, hard-fought, and super physical game in Chicago. Indeed, I’ve been spending some time lately watching some college basketball from a couple of decades ago, and when watching that Miami-Chicago slugfest last night I was reminded how the game they are playing today is altogether different from the one I grew up playing and watching. But while most of those watching probably thought the game stood out from the usual late-season NBA offerings when most of the playoff spots are already locked up and the level of competition isn’t always high, Battier downplayed the game’s uniqueness, noting that only the streak ending made it at all notable. I very much like how Battier speaks in rational terms about how the game went as well as what he says about the game having fit a common pattern when it comes to favored teams losing road contests. 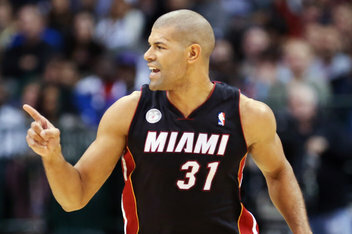 Unlike so much sports commentary that gets bogged down with endless “intangibles” like playing with “heart” or other such applesauce, Battier smartly connects concrete events (aggressive play, shots falling) to an increase in confidence which in turn (one understands) improves energy, focus, and the ability to execute. It’s like a poker player recognizing how losing a few hands early in a session might negatively affect his or her decision-making thereafter, thus creating more difficult situations that lessen the likelihood for success. Finally, Battier noted how another way of looking at the “garden-variety” game that just ended was to point out how lately -- to employ another poker analogy -- Miami has been on the good side of variance. Indeed, as I was writing about in that Ocelot Sports post, 13 of the Heat’s 27 wins during the streak had come on the road. And a number of those featured this same “recipe” that saw Miami come out sluggishly, the other team taking an early lead, then Miami having to deal not only with overcoming a deficit but also competing against a team for whom the early lead gave them confidence. But the Heat managed to keep winning, and just like there were rational explanations for other teams getting those leads, there were reasons why the Heat kept coming back, too. On average -- as Battier recognizes -- they likely should not have been able to do so as often as they did. But their hands kept holding and/or they kept drawing out when they needed to, and thus did the streak continue. It’s probably no accident that a level-headed guy like Battier has been part of so many winning streaks, and it’s my impression that the other Heat players also share this same sort of analytical ability when it comes to assessing their own and their opponents’ performances. LeBron, D-Wade, and company are also pretty damn gifted, too, which perhaps makes it easier to have that sort of perspective. “Rushes” happen in poker, but they generally result from a combination of good decision-making and good fortune. The same is true in other games, with the ability to recognize and understand the role luck plays being perhaps one of the most important skills of all. For a long while now I’ve had to moderate comments on the blog for the sole reason that if I do not the blog would be riddled with spammy attempts at free linkage. I know it adds an extra bit of hassle for those wishing to make comments, not to mention might, perhaps, dissuade some from going to the bother of commenting at all. But the alternative of going without any sort of moderation isn’t really an option. I get email notifications whenever comments are made, and usually during the course of a week I’ll get several messages letting me know of “comments” awaiting moderation that are examples of such spam. People (or programs) still try, I guess, even though these comments never do make it onto the site. Just this morning I was notified that someone had “commented” on three older posts, with each of the comments representing identical, hyperlink-peddling gibberish. Then during the time it has taken me to write this post, the same commenter tried one more time on another nearly two-year-old post. Usually if the comment is on an older post, especially from years ago, the odds of it being spam go up considerably. However, sometimes such comments turn out to be genuine responses, with readers sharing their thoughts after having found the posts via searches on topics that interest them, then overcoming both the comment moderation hurdle and the fact that the passage of time might have made it seem less apt to be offering some belated rejoinder to some long dormant discussion. Last night came an example of such in the form of a long, thoughtful comment by a reader to a post of mine from more than six years ago (good gosh) about The Cincinnati Kid. Way back in early 2007, I was inspired to write a series of four posts about The Cincinnati Kid. 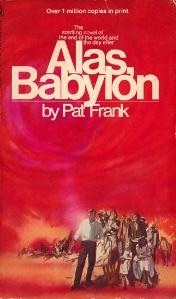 The posts covered not just the 1965 film, but also the DVD commentary and the Richard Jessup novel on which the film was based. The first of those four 2007 posts addresses the two commentary tracks on the Warner Brothers DVD released in 2005. One is by Phil Gordon and Dave Foley, then co-hosts of Celebrity Poker Showdown (a blast from the past, eh? ), and other is by director Norman Jewison. I conclude (unsurprisingly) that of the two, Jewison’s contribution is much more relevant and interesting. The second post is a pretty thorough discussion of Jessup’s novel, which I still think is often too quickly dismissed as a pulpy throwaway. I tentatively talk about some of the differences between the novel and film (trying not to deliver any spoilers), and ultimately praise the book for its “hard-boiled” qualities and ability to present a few compelling characters. I do, however, conclude the film to be the greater achievement. The third post then presents a proper review of the movie in which I express my admiration of several of the film’s elements, including the acting, the script, and the successful presentation of various themes. The review having gone on longer than I’d wished, I then decided to save a discussion of the final scene for a separate post. That last post breaks down the big climactic hand of five-card stud played between Lancey Howard (“the Man”) and Eric, pointing out how the film actually changes some of the details of the hand from the way Jessup had presented it in the novel. In my discussion I defend the hand against the criticism many have lodged regarding its improbability, trying to fit it within the film’s attempt to communicate broader, “existential” ideas about life. It was this last post that has earned a couple of interesting comments recently. One came a few months ago from a reader suggesting an idea I’ve heard others consider, namely, that cheating occurs in the hand, with Lady Fingers (the dealer) acting as an accomplice to Lancey. Another comment was the one from last night by a reader wanting to take issue with my suggestion that “The Man” plays the final hand badly, then gets lucky. That comment provides an interesting justification for Lancey’s thinking in the hand (as shown in the film), explaining how it fits with an overall strategy put forth throughout the session to set up Eric for a huge loss. Rereading that more recent post in which I again address the last hand, I realize it might partially support my reader’s comment about Lancey having successfully set up Eric for the big, final fall. In any case, I’ll let those who are interested to read more about the movie -- which I still rank as my favorite of all “poker films” -- follow these links and see what I’ve written as well as what my readers have had to say in response. A major theme in The Cincinnati Kid is the difference between the young and old and the important lessons learned by experience. The characters’ names of “the Kid” and “the Man” point to such a theme in a conspicuous way, with Eric’s desire to “be the Man” obviously paralleling the kind of “growing up” everyone goes through. Going back and rereading posts written years ago likewise brings to the fore the lessons of experience for your humble scribbler. I still feel connected to those early posts and am thus genuinely intrigued (and excited) by responses written to them. But I’ve also experienced much since I wrote them, with those experiences necessarily introducing some additional critical distance between my present and past selves. I wanted to give a quick update today on the Hard-Boiled Poker Home Games Season 3 series that will be coming to an end this Sunday, March 31st. All of my tournaments feature buy-ins of 530 play money chips. All also feature starting stacks of 3,000 chips, with the 16:00 and 21:00 tourneys using three-minute levels and the 20:00 one having levels lasting five minutes each. Most tourneys tend to last a little over an hour, with that 20:00 one sometimes extending a little longer. I had originally only had tournaments on Sunday evenings, which usually works out well for me and also seems to suit the schedules of a lot of my American buddies who have been playing. However, those events don’t really work for the Europeans, and I know there are a few who’d like to play occasionally. Thus did I add the Sunday afternoon events, although the turnouts for those have been on the small side so I might not continue that going forward. So far tournaments have had as many as 16 players participating, with the usual field size being around a dozen. While there are play money prizes for top finishers, what everyone is really playing for are points for the season standings. Those are awarded to the top third of the field for each event (e.g., for a 12-player tourney, the top four get points). RiVeRrAtAcE has won three events so far, thus helping him secure first position with three tourneys left to go. Somehow I’ve lucked into second place in these standings, although when it comes to awarding prizes to the top three finishers, I’m not part of that equation. Thus if the season were to end today, SmBoatDrinks and Psx120 would be eligible for prizes with FBees89 being the Season 3 bubble boy. Points are calculated according to the number of entrants, and for most events the winner has picked up more than four points. That means RiVeRrAtAcE does not have Season 3 locked up just yet, as a couple of good finishes by those in the chase pack can push them ahead of him in the standings. This time I have two books and one DVD I plan to give as prizes. One book is Reading Poker Tells by Zach Elwood, which I reviewed for Betfair Poker last year. 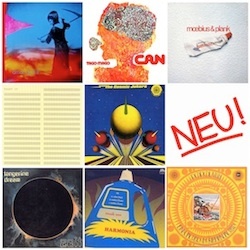 Another is a copy of Paul “Dr. 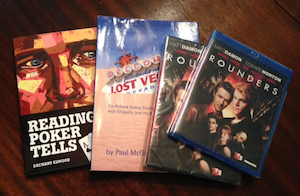 Pauly” McGuire’s Lost Vegas, which I also reviewed for Betfair Poker when it first came out in 2010. Finally I have DVD copies of Rounders, one of which is a regular DVD and the other Blu-Ray; whoever wins the DVD will get to choose among the formats (i.e., I’m only giving away one of the two DVDs this time). The first-place finisher will get to choose between three prizes -- either of the two books or a Rounders DVD (in whichever format the winner prefers). Then the second-place finisher gets to choose between whatever two prizes are left, and the third-place finisher gets the last item. I’ll be mailing the prizes. I will probably start a Season 4 in April, which again will last for three months through the end of June. Once again I’ll be mixing up the offerings, including a lot of non-hold’em events and perhaps even those new 5-Card Omaha games PokerStars has started to offer if they become options (they haven’t yet). If you haven’t played and want to join my Home Games club, see the info on the right-hand column for doing so. Right now I only have a few spots left before the club reaches 100 players, which I’ve been told is the maximum PokerStars will allow for these play money-only clubs. But if I reach 100, I’ll start removing some players who haven’t been participating so as to open up spots. Meanwhile, let me ask those who have been playing to send along any suggestions regarding times, types of games, or anything else regarding the HBP HGs. Big fun around here over the last few days watching the first couple of rounds of the NCAA men’s basketball tournament play out. The weekend in particular presented a number of nail-biters that made for consistently exciting viewing, even if my beloved UNC Tarheels folded (so to speak) under the pressure during the second half versus Kansas yesterday to end their season. Was kind of a mediocre showing overall for me as I only ended up getting eight of the Sweet Sixteen correct, but hope remains as seven of my Elite Eight are still alive as are all four of my Final Four picks. After what happened last year when I found myself in a similar spot, I am necessarily full of optimism. I probably wouldn’t be so cheery, though, if not for a couple of lucky breaks yesterday. I’m referring specifically to the Ohio-State-Iowa State game and the Miami-Illinois game, both of which came down to the wire. And, as it happened, both of which featured somewhat controversial referees’ calls near the end that did factor into the results. I happen to have picked Miami to beat Ohio State in the finals in my bracket -- an outcome that today seems somewhat unlikely -- so obviously I wasn’t displeased to see both teams survive their scares yesterday to advance, if only to allow me a few more days of believing I still have a chance in the pool. Perhaps, then, I’m a little biased in my response to what I’m referring to as those “controversial” calls from yesterday, but even so, I think way too much has already been made of both of them. Michael, author of the crAAKKer blog (a.k.a. Grange95), actually wrote a post yesterday afternoon -- “Don’t Kill the Refs” -- about the earlier one occurring in the Ohio State-Iowa State game. It was one of those charge-block calls that went Ohio State’s way, negating an Iowa State basket and most certainly helping keep the door open for the Buckeyes eventually to prevail. Michael makes the point that it’s a mistake to promote a single referee’s call to such a level of significance that it utterly eclipses the other hundreds of plays that happen in a game. In truth, while super slo-mo replays seemed to provide evidence supporting the arguments of those who believed the call was incorrect, in real time it was much less obvious which way the call should have went. Later in the evening there was a more obvious mistake made near the end of the Miami-Illinois game. With less than a minute to go, Illinois had the ball down by 2 and after missing a shot it appeared as though the ball went off a Miami player out of bounds under the Illinois basket. But the refs said it had gone off the Illinois player and awarded the ball to Miami, who then hit their free throws and hung on to win 63-59. In this case the call was more obviously incorrect -- even in real time it looked like the refs missed it -- and perhaps more directly affected the outcome of the game than happened with the OSU-ISU charge-block call (after which several more game-determining plays occurred). Even so, Michael’s point about it being wrong to assign too much significance to a single call still holds here. The missed call was most certainly part of the story of the game, but so was Illinois guard D.J. Richardson’s 1-for-11 shooting night and Rion Brown scoring 21 off the Miami bench and many other factors that affected the outcome. The fact is, there’s a human element when it comes to sports and games that I think is becoming less and less appreciated as time goes on. There are several possible causes for this trend, with advances in technology and an increasingly litigious society springing to mind as two of the more obvious ones. That hesitant feeling was amplified by during those first three weeks of the NFL season when the replacement refs were making lots of mistakes and also (not coincidentally) overturning an inordinate number of calls. But even when the refs are doing a reasonably fine job, I think most of us experience sports much differently today than was the case prior to the introduction of instant replay and all of the other mechanisms by which plays made by players (and calls made by referees and umpires) can get reinterpreted afterwards. To make a poker connection (here on my poker blog), I’m reminded of that hand near the end of the WPT Bay 101 Shooting Star earlier this month in which Paul Volpe was eliminated in third place. Prior to the hand, the dealer made a mistake and moved the button two spots rather than one, putting Volpe in the small blind rather than the big blind where he was dealt with which he open-pushed all in. His opponent, Kai Chang, called from the big blind with , and Chang won the hand. If the button had been placed correctly, Volpe would’ve been dealt Chang’s hand, the third player (Joe Nguyen) would’ve been dealt Volpe’s hand, and thus the outcome might have been different. 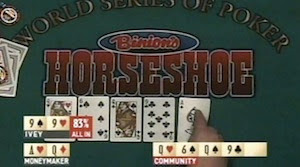 Again, there were thousands of actions leading up to this hand that affected how the tournament had gone and would potentially go, but some wanted to highlight the dealer’s mistake as having a kind of ultimate significance here. Allen “Chainsaw” Kessler even started another one of his many Two Plus Two threads to discuss the hand -- “Wow paul volpe eliminated on misdeal at Bay 101” -- his alarmist title suggesting that Volpe somehow was the victim of unfairness and/or was not to blame for his elimination. That is to say, that Volpe was knocked out not because of anything he did, but because of what might be regarded as the equivalent of a ref’s bad call. Sports bettors mostly understand how the referees -- being human -- introduce a “form of variance” that has something to do with how games will go. The more rational among them accept that as “part of the game.” And I think those of us who fill out NCAA brackets and thus find ourselves on the edge of our seats cheering or crying at a ref’s endgame call mostly accept that fact, too. That said, if the refs knock out Miami or Ohio State before the finals, I’m gonna be pissed! At the end of every calendar year, the Library of Congress announces an annual list of films to be preserved as part of the National Film Registry. 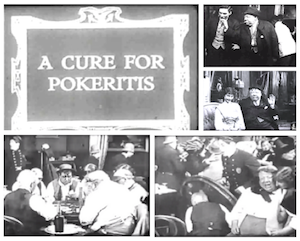 Among the selections made in 2011, a film was chosen that probably deserves designation as the oldest poker movie ever made, a 12-minute silent film titled A Cure for Pokeritis first released over a century ago on February 17, 1912. Since 1989 there have been 25 films selected every year to be added to the National Film Registry, each selected for “enduring significance to American culture.” Each year’s list typically includes a wide variety of features and shorts, including both mainstream fare as well as more obscure titles. Thus does one find everything from The Wizard of Oz to The Exorcist to The Muppet Movie to the Zapruder film among the works that have been chosen to date. A Cure for Pokeritis is not the first film involving poker to have been selected for preservation. In 2005, both Cool Hand Luke (1967) and The Sting (1973) were chosen, two films which each include highly memorable poker scenes. That said, A Cure for Pokeritis is most certainly the only “poker movie” to have been chosen for the National Film Registry thus far. It is also an interesting document of the place and significance of poker in American culture during the early 20th century. While the selection of A Cure for Pokeritis helps bolster the case for poker’s prominence in American culture, the choice was mostly made thanks to the starring turn of the comic actor John Bunny. Bunny appeared in more than 150 silent films, making the rotund actor one of America’s most important early film stars and a national celebrity prior to his untimely death in 1915. A number of Bunny’s films saw him playing the role of a henpecked husband, often starring opposite Flora Finch as one of cinema’s first comedy teams. A Cure for Pokeritis, directed by Laurence Trimble for Vitagraph, typifies that formula, pitting the two against one another with poker being the wedge that divides a married couple. An initial title card explains the opening scene: “A game of poker. Loser again.” We watch the round-faced Bunny as George Brown don his hat and jacket as he leaves a smoke-filled poker game, apparently having to borrow money from another player before he exits just to cover the fare home. He returns home late, endures a berating from his wife Mary (Finch), and tries to smooth things over by swearing to her he'll never play poker again. A week passes, and George receives an invite to be initiated into the “Sons of the Morning,” a men’s lodge that meets every Wednesday night. According to the terms of the lodge, failure to appear incurs a fee of ten dollars, thus giving Mary no choice but to agree to her husband’s participation. Of course it’s all a ruse -- the “Sons of the Morning” is just an cover for the same weekly poker game Brown had been playing before. The plan works until Brown starts talking in his sleep, giving away his secret to his wife. She then recruits strait-laced Cousin Freddie to help with her plight, and he in turn recruits his Bible club to help him out. Soon Cousin Freddie and Mary’s plotting involves more wives who are also angry about their poker-playing husbands, and they all have “an indignation meeting” with Freddie in which a plan is finalized. Freddie and the other Bible club members then dress up as policemen and with the wives in tow conduct a faux raid on George's poker game. Fears of arrest soon dissolve into animated expressions of relief among the players, with George and Mary's film-ending embrace apparently signaling his having once and for all agreed to stop playing poker. Besides highlighting the general prominence of poker at the time, A Cure for Pokeritis reminds us of a couple of other cultural significances of poker from a hundred years ago. One is the way poker had by the early 20th century found its way from the saloons and steamboats into private homes and clubs to enter the domestic sphere. No longer a game just for cardsharps and cheats, poker had found its way into the living rooms of all classes, a move similarly indicated by C.M. 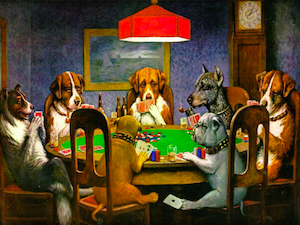 Coolidge’s famous “dogs playing poker” series of paintings from 1903. 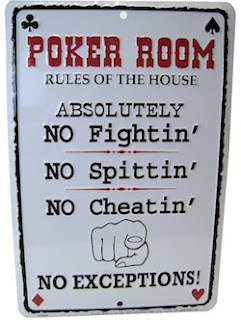 And like Coolidge’s paintings -- in which only male dogs play (while female dogs occasionally watch) -- the cigar-chomping, masculine culture of poker is on display in A Cure for Pokeritis as well. The other idea -- indicated by the film’s title and plot -- is that poker represents a kind of disease or illness in need of curing. With the temperance movement in full swing (the Volstead Act and start of prohibition would come just a few years later), poker and gambling were associated with other vices thought by many in need of being remedied. Bunny was right. And indeed, among other things, A Cure for Pokeritis certainly teaches us something about poker’s place in American culture a century ago. Had a great time last night with Vera watching the Bobcats enjoy a rare victory. Lots of empty seats, but those who were there had a big time, and for Charlotte to come away with a win (even against lowly Toronto) added a lot to the enjoyment of those who did make it out. As I mentioned yesterday, today the attention turns towards the NCAA tournament which gets started in just a little while. I’ve filled out my bracket, doing so amid all of the jibber-jabber being put forth by the so-called “experts” performing so-called “analysis” on television and online while offering their predictions of what might happen. So much noise. And so much of the time they speak of the future as if it were as knowable as the present or past. I feel like I’m developing into something of a curmudgeon when it comes to sports talk, having somewhere along the line reached a personal tipping point as far as being able to endure the endless repetition of clichés, the unthinking estimations of “heart” and “having something to prove” and “the will to win,” and all of the other forms of amateur psychology being put forth so energetically by so many. I’m a sports fan and perhaps even somewhat knowledgeable when it comes to applying what I’ve seen during decades’ worth of sports watching to theories about what might happen next. But I know I’m no expert, and I find it kind of amazing sometimes when I hear others opine in such obviously off-the-cuff, untutored ways about sports without the least hint of self-awareness that they might not know as much about their subject as they think they do. I know I’ve made this point here before, but today I’m thinking again about how years of reporting on poker tournaments has necessarily taught me to be humble when it comes to my own knowledge and understanding of the game. The experience has also affected me somewhat when it comes to other areas, I think, including my watching of sports and how I evaluate players and teams. Not to belabor the point too much, but just as there is often a lot that even the best players and thinkers can’t see or know or appreciate when watching a hand of poker play out, so, too, are there many unknowns or at least uncertainties when it comes to watching sports. Yet it seems like more often than not those who offer to judge or comment on something like what might happen in the NCAA tournament speak as though there is nothing that cannot be comprehensively explained and understood. Or at least nothing that they cannot explain or understand. Anyhow, my bracket is complete, having been filled out with an appropriate measure of humility regarding my own limitations. And as the games begin, I expect to experience a lot more humility going forward. Barely any time for writing today as I have much to do, plus to be perfectly honest my mind is truthfully more occupied by basketball than by poker at the moment. First off, Vera and I are going to the Charlotte Bobcats game tonight. Sure, they’re the worst team in the NBA, but they are our team. And it’s bottomless popcorn night, too, so we’ve got that going for us. 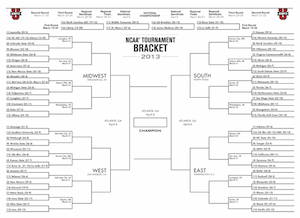 I’m also trying to finish filling out all 63 lines on my NCAA bracket today. So far I’ve only really completed eight of them (in pencil, mind you), having the No. 1 and No. 2 seeds in each of the four regions winning their first games. The No. 1s have never lost versus the No. 16s, and the No. 2s only very rarely have lost to the NO. 15s, so starting out picking those eight to win at least one game is kind of like calling an all-in with pocket aces. 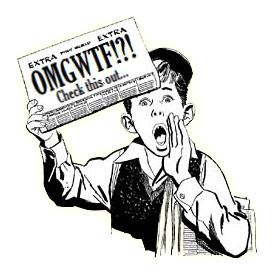 There are a lot of news items floating around the poker world this week, and that’s not even referring to the actual playing of poker. Which, it seems, a damn lot of people are doing these days, and all over the globe. Just this past weekend the European Poker Tour, the Asia Pacific Poker Tour, and the Latin American Poker Tour crowned new Main Event champions. And of course the World Series of Poker Circuit has already picked up again with its next stop out in Colorado. 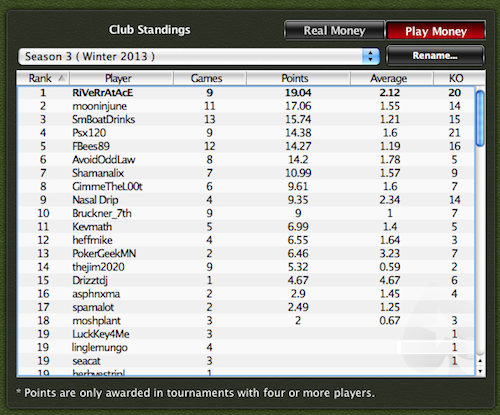 Meanwhile, the online games are rolling along as well, especially on PokerStars. Last night the Super Tuesday, Stars’ weekly $1,050 no-limit hold’em tournament, saw an incredible 663 players participating, breaking the previous record by nearly 50 players. Kind of amazing how quickly that event has grown over the last few months. It still has a $300K guarantee, in fact, although I suppose that might get increased now that they are routinely drawing fields to create prize pools doubling that amount. On the other end of the spectrum, the tiny buy-in MicroMillions 4 series is playing out this week, too, where the guarantees are all also being doubled or tripled in just about every instance. That’s the series a small-timer like me misses the most, as I’d surely be playing in tons of events if I were able. Cash games are fun, but tournaments bring a different kind of excitement. The inherent narrative structure of the tourneys with their beginnings, middles, and ends fashion stories that fascinate -- particularly if we get to participate as “characters” in those stories, but even from the rail sometimes, too. I think of the game I’m going to see tonight, a mostly mundane regular-season clash between Charlotte and Toronto (neither of whom is playoff-bound). It’ll be kind of like watching a cash game in which someone will win and someone will lose, but the dramatic structure (exposition, rising action, climax, etc.) will be necessarily muted throughout. Meanwhile, once the NCAA tournament gets going tomorrow, the contrast in terms of dramatic value will be huge. Just like every hand in a poker tourney directly affects the shaping of a larger plot, so, too, will every play and every game add up to something more compelling to witness. Tonight should be fun enough, thought. Even if the bottomless popcorn almost seems like some sort of symbol referring to the depths to which this Bobcats team seems capable of falling as they appear destined to finish with an NBA league-worst record for a second consecutive year. But tomorrow will be more exciting, no doubt. 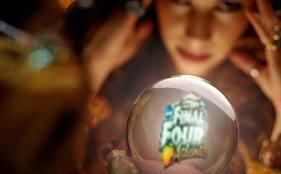 Who do you have in your Final Four? March Madness is here, with the this year’s NCAA men’s basketball tournament bracket having rapidly consumed the attention of sports fans this week. I’ll be filling out my bracket soon, hoping to repeat my luckbox performance of last year when I somehow managed to nail six of the Elite Eight, all of the Final Four, and also predict the semis and finals correctly to win Pauly’s Pub pool. I’d beg forgiveness for the self-aggrandizement, but last year was the first time in decades of filling out these suckers I’d realized any significant success, and the chances of my ever replicating such a performance are most certainly dim. So I’m taking advantage this week of telling the story of my win as many times as I can until my reign as Pauly’s Pub champ likely ends a little less than three weeks from now. Speaking of NCAA hoops (and stories about winners), I was mesmerized Sunday night by the latest ESPN “30 for 30” documentary about the incredible run of the 1983 N.C. State Wolfpack team all of the way to the NCAA title. With 10 losses entering the post-season, NCSU had to win the ACC tourney that year even to make the NCAAs, then as a No. 6 seed won six straight games -- several in thrilling, come-from-behind fashion -- to take the title. I have a lot of personal memories of watching those games as a kid in North Carolina. Those were formative years for your humble scribbler, which perhaps made me even more vulnerable to be affected by the documentary and the way it invited me to think back and relive it all. Two days later I am still thinking about “Survive and Advance,” and in fact yesterday was also considering how the Pack’s improbable championship also reminded me of another “Cinderella story,” namely Chris Moneymaker’s 2003 World Series of Poker Main Event win. Both were huge underdogs to win their respective titles, and in fact in both cases there were a lot of obstacles and other twists of fate that led to them even participating in the tournaments. As the ESPN documentary reminds us, NCSU’s star guard Dereck Whittenburg suffered a broken foot in January of that year, which I well remember seemed at the time to be a career-ending injury for the sharpshooting senior as well as likely dashing the Wolfpack’s hopes for making it through the Atlantic Coast Conference regular season or tourney with a chance to play in the NCAA tournament at all. But Whittenburg came back, and after State finished the ACC regular season fourth in the league, NCSU made comebacks in all three tourney games versus Wake Forest, a Michael Jordan-led UNC team, and top-seeded Virginia led by their Goliath, Ralph Sampson, to secure an NCAA tournament spot. Meanwhile, we all remember Moneymaker’s story of having won his seat into the WSOP Main Event in 2003 via a $39 satellite on PokerStars. As he relates in the 2012 documentary All in: The Poker Movie, he had but $60 in his PokerStars account at the time he played in the satellite. He also explains how he didn’t even realize he was playing in what was essentially a “step” satellite (getting you into another satellite), having originally thought he was registering for a regular tourney with cash payouts. He won that first satellite, “surviving and advancing” to the second satellite in which the top three finishers would win WSOP ME seats. There he reached the final table with the chip lead, but was in fact aiming for a fourth-place finish and a $8,000 cash prize, an amount that just happened to match his current credit card debt. At six-handed, Moneymaker began to try to make a deal with other players and/or slowly bleed chips so as to ensure himself that fourth-place finish, but his plans were interrupted by a friend calling him to let him know he’d buy half his action ($5,000) if he were to win the ME seat. Moneymaker went on to win the seat, then his buddy backed out of the deal. In other words, like NCSU and Dereck Whittenburg literally limping into the post-season in 1983, cash-poor Moneymaker having secured a spot to play in the $10,000 WSOP ME in 2003 was in and of itself an unlikely turn of events, too. Then, of course, as we also well remember from the old ESPN shows that presented us the 2003 WSOP, Moneymaker’s journey to the final table included a number of heart-stopping moments that made his advancing that far also somewhat improbable seeming. And from that journey we might pull a few other parallels with NCSU’s run, too. Like State toppling mighty Virginia (again) in the West Regional final, Moneymaker knocked out the great Johnny Chan, an occurrence compared by Norman Chad on the commentary to Buster Douglas knocking out Mike Tyson. In truth, that was what it seemed like when State beat Virginia for the second time in two weeks (this time without the three-point shot) to make the Final Four. Like State coming from behind from six points down with 24 seconds left to beat Pepperdine in double-overtime to win their first-round game, Moneymaker hit a two-outer with pocket eights to crack Humberto Brenes’s A-A after the latter was all in on the flop. Like State making more comebacks against UNLV and Virginia to reach the Final Four, Moneymaker would hit a seven-outer with one card to come to knock out Phil Ivey (another Goliath) just shy of the final table. And like State toppling the seemingly unbeatable, hugely-favored Houston Cougars led by Hakeem Olajuwon and Clyde Drexler in the finals, Moneymaker’s ultimate victory versus Sammy Farha heads-up likewise defied expectations with the underdog gaining the victory. We might even compare the crazy final play in which State ironically won the game on a dunk versus “Phi Slamma Jamma” to Moneymaker’s big bluff versus Farha -- a pro-like play pulled off by the amateur. 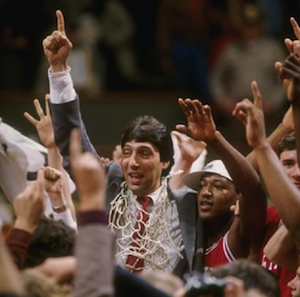 Both victories also proved inspirational to many going forward, a theme that is likewise explored effectively in “Survive and Advance.” A clip that appears in the documentary of Valvano talking about how “every day in every walk of life, ordinary people accomplish extraordinary things” comes to mind here. One could probably drill down further into both stories to find still more parallels, but I’ll leave it there for now. After all, I need to go study my bracket and decide if there will be any new underdogs primed to make a deep run this time around. Well, Friday was certainly a disappointing day in our little poker world. I suppose for me the disappointment was threefold. It was just after midday when the news broke that Greg Raymer, the 2004 World Series of Poker Main Event champion, had been arrested along with five other men following a “prostitution sting” operation conducted by undercover law enforcement in Wake Forest, North Carolina. NC news stations initially reported the operation to have been a “male prostitution sting,” then after about 45 minutes a correction was made to clarify that Raymer and five others had been arrested at a hotel after having been duped into thinking they had arranged liaisons with female prostitutes. Raymer’s arrest actually happened back on Wednesday, with the story breaking two days later. 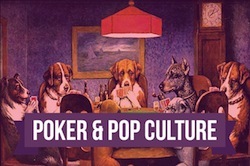 Thinking initially of poker’s image and the always uncertain place the game occupies in the culture, it was a bummer to consider how the news might play among the general public moving forward. Such thoughts were compounded by the fact that Raymer has for many years served as a good representative of the game to the larger public -- a guy who most would agree has been “good for poker.” It’s hard to estimate, really, whether such a story will have any significant, tangible influence on people’s opinions about poker or about poker players going forward. But it seemed pretty certain whatever effect it had would not be positive. So that was one cause for dismay. A second arose for me thanks to the fact that as a North Carolina resident, I’ve been getting to read over the last few days lots of commentators enthusiastically characterize my state according to standard stereotypes associated with the South. You know, the usual stuff about everyone here being hopelessly backwards, uneducated, “Bible-thumping hillbillies” and so forth. I’m hardly sensitive about such generalizations. (In fact, in some cases, they can be difficult to refute.) That is to say, I don’t blindly support my state or the region and like most rational, thinking adults don’t always agree with everything my neighbors believe or support. But that doesn’t prevent me from getting a little weary sometimes at the dismissive way people look at “North Carolina” or “the South” as representing something unspeakably dreadful, a cultural wasteland where not only is poker (mostly) illegal but all of the worst kinds of intolerance is unequivocally supported. Which just ain’t so. Finally, a third disappointment arose from the bungled way the story of Raymer’s arrest was reported (and re-reported). I followed it all closely Friday afternoon, including constantly checking the NC television stations’ websites as well as the gleeful, excited repetitions of the news that quickly circulated through several national outlets as well as on poker news sites and forums. The initial mistake about “male prostitution” was of course repeated everywhere. When the correction was made, WTVD and WRAL silently edited their reports without making any reference whatsoever to the earlier mistake. Most of the cut-and-pasters on the other sites did the same, with some letting several hours pass before making the fix. This is a personal blog and not a news site. I don’t really report news here, but will sometimes reflect on what gets reported elsewhere. Even so, I do try to maintain a standard when it comes to how I communicate with my audience. When I publish a post then later decide to add or correct something, I indicate my having done so with a big, bold reference to an “EDIT” being made. Now if I’m fixing a typo or making some other less substantive, surface-level alteration, I won’t bother cluttering the post with such disclaimers. But say I make a mistake about something, or overlook an important detail and feel the need to comment on it later. I feel it is only fair in such cases to let my readers know about such additions or revisions. Meanwhile, actual news outlets have to recognize such an obligation, otherwise their credibility is reduced to zero. If a site can fundamentally change its reporting on the fly in substantial ways with a few keystrokes and mouse-clicks, how are we to accept anything they report as accurate? I know others are today thinking about and wanting to discuss Raymer’s family life, engage in debates about prostitution, or even discuss sexual preferences (the latter topic triggered by that misreporting), with a few in the poker world also wanting to focus on that initial point I brought up about poker’s image perhaps having taken a hit here. But as someone who writes about poker for a living and who has found it necessary to accept certain restrictions that come with writing for an audience, it’s the way this story brought out into the open all sorts of fundamental problems with today’s media that occupies my thoughts most prominently three days later. The arrests resulted from a so-called “sting” in which Raymer and the others were provided with a story. They then responded in ways that gave authorities cause to make arrests and thus expose them. I almost feel like the incident itself has functioned kind of like a “sting” insofar as it provided an occasion for media outlets to respond, and in doing so the way they did, they too were exposed. The film Havana, directed by Sydney Pollack and starring Robert Redford, received a mixed reception during its 1990 theatrical run. Many saw Havana as a failed attempt by Pollack to recreate the critical and commercial success of 1985’s Out of Africa (also starring Redford). While the earlier film was universally praised, winning seven Oscars including Best Picture and Best Director, reviewers didn’t respond as warmly to Havana’s story set on the eve of the Fidel Castro-led Cuban Revolution. The film suffered at the box office as well, only earning back about a third of its huge $30 million budget. While Havana is perhaps a bit over-reaching at times, stretching out what is really a character study to epic lengths, it does have a lot going for it. The film presents an inventive and engaging story, some enchanting cinematography, a cool soundtrack, and fine performances throughout. It also provides a plot and central character that poker players may find particularly interesting. 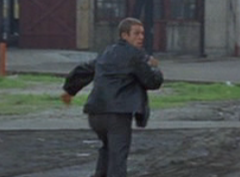 Redford plays Jack Weil, a professional player who visits Havana primarily for the high-stakes games on offer, but who ultimately finds himself pulled away from the tables by revolution and romance. The film also gives us something to think about with regards to the way poker sometimes stands as a kind of an emblem for America. Jack is a good player, his ability making him stand out from his opponents as much as does his blonde-haired, blue-eyed appearance. But several of the skills that make Jack a winning poker player -- his self-reliance, his confidence, his independent or even selfish approach to life -- could also be called “American” traits, too. And it is this idea of himself as free and at liberty to pursue whatever calling he chooses that gets challenged by the urgent political crisis in which he finds himself in Havana. The entire story takes place during the last week of 1958, the final days of the six-year-long revolt that finally forced Fulgencio Batista out of Cuba on January 1, 1959 to be replaced by Castro's regime. It begins on Christmas Eve on a boat going from Miami to Havana, where we meet suave Jack agreeing to help a pretty female passenger get her car off the boat and through inspections upon arrival. Soon thereafter Jack heads to the Lido, a hotel-casino managed by a friend Joe Volpi (Alan Arkin). Jack tries to persuade Joe to help him organize a group of high rollers for a high-stakes game, but Joe suggests uncertainty about the revolution has made it more difficult to get such a group together. 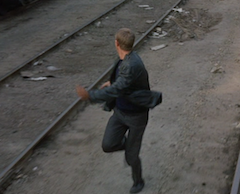 Jack argues to the contrary, suggesting there’s “nothing like the sound of a gunfire to stimulate action,” but Joe isn’t cooperating. So Jack plays elsewhere at a bar, where we watch him lose a hand of five-card draw early on in which he folds three kings to an opponent who shows a lesser pair of jacks. Jack effusively congratulates his opponent -- “You bluffed me, man!” -- and there are smiles all around. But when we cut to many hours later we see Jack is winning, and big. In other words, while he lost that small pot early, his long-term plan for the session has proceeded nicely for him, ensuring him a significant profit. The line recalls for us how Havana is just one of many places Jack has played poker, a place that if not for the events that are about to unfold would have remained just another stop on his personal world poker tour. As it happens, Jack reunites with the woman he helped on the boat, Roberta Duran (Lena Olin). It turns out she’s married to a leading figure in the revolt, Arturo Duran (Raúl Juliá). In fact, as Jack already partially understands from having inspected Roberta’s car, he’s helped smuggle some American radios for the revolutionaries to use. He eventually meets Arturo who invites Jack to dinner with him and his wife. There Arturo tries to enlist Jack’s help in the cause, but Jack is only interested in poker. In fact, Jack can’t even take seriously the idea that the revolution is going to amount to anything, he’s so focused on enjoying -- and profiting from -- the decadent night life available to him in Havana. Arturo tries to suggest that Jack’s poker-playing skills could be useful to the revolutionaries’ strategic planning, but Jack waves off the suggestion. “That’s very American,” replies Arturo with a smile. “Politics is what your life is about, but you’re not interested!” Arturo tells Jack he’s “fascinated by men like you... how you keep a kind of innocence” amid the revolution going on around him. Thus satisfied with knowing how to beat politicians at his preferred game, Jack has carved himself out a life in which he believes he does not have to play other “games” in which the goals aren’t as clear or attractive to him. As has already been suggested, Jack does get further involved in the revolution, thanks in part to his attraction to Roberta. The game at Lido’s becomes a part of the plot, too, when one of Batista’s lieutenants and the head of the secret police also participate. Jack wins money, information, and some additional leverage in the game to enable him to help the revolutionaries and Roberta in particular. I’ll leave the remainder of the complicated (though not too hard to follow) plot for those wishing to see the film. Ultimately the movie comes to resemble in many ways Casablanca, another film in which a somewhat unwilling American (Rick, played by Humphrey Bogart) finds himself thrust into the middle of a political conflict thanks largely to his attraction to a woman (Ingrid Bergman’s Ilsa). And like in Casablanca, even though our hero is primarily motivated by a woman to act, surrounding circumstances make the possibility of his being with that woman unlikely if not impossible. We see Jack repeatedly asking himself and others “What do I want with a revolutionary?” and “You think I care about any of this stuff?” as he grapples with the idea that there is more to the world than his own personal pursuit of happiness. Roberta in particular challenges him repeatedly, accusing him of seeing Havana only as “a place for a card game” rather than a city in which lives are being affected in profound ways. Very existentialist. Very American, too, one might argue. And a lot like what we hear at the poker tables, a place where the outside world often gets conveniently shut out as we await the deal of another hand or the announcement of another bet. Thanks to Bruce McCullough for having first suggested to me that I take a look at Havana and its use of poker. For further reading, see my interview with McCullough for Betfair Poker, “Poker in the Classroom: Teaching Probability and Decision-Making,” in which we discuss a poker-themed college course he has taught as well as the way Havana subtly suggests Jack’s character to be especially gifted when it comes to understanding odds and probabilities. Amid all of the Pope-related tweets in my timeline yesterday afternoon came a number folks suddenly sending out messages that the process for U.S. players to get back their funds from Full Tilt Poker had finally begun to move ahead. As the rest of world focused on a pillar of white smoke and the introduction of Francis I, poker people’s attention was being redirected by the news that the Department of Justice had finally found a claims administrator to handle the reimbursement of U.S. players still owed money by FTP, a.k.a. the “Victims of Full Tilt Poker Fraud.” A new website has been launched -- FullTiltPokerClaims.com -- where players are being invited to register to begin receiving email notifications. Kind of like another variety of smoke signal going up, you might say. Hard not to be skeptical after nearly two years of waiting. At least now we will be the ones making the claims. Getting money back should temper the bitterness somewhat... eventually. But it will be hard ever to think well of FTP. Hell, I just filled out the form to register for the notifications, and I found myself unable to resist feeling just a tad apprehensive as I did. You know, wondering if perhaps I was being set up somehow. Again. The site is about as bare bones as it gets. I saw Chris Grove joking yesterday that its old-school design suggests players should expect to be paid back by 1997. The Garden City Group (GCG) of Ohio has been given the task of handling the claims and facilitating the reimbursements. As F-Train points out over on Flushdraw, they have handled a number of other bankruptcy cases and class action settlements over the last quarter-century. There is a toll-free number to call, an email addy, and a snail mail address, too, via which further questions can be asked. I believe at some point we’ll be getting messages suggesting some kind of timeline (nothing is indicated on the new website), then eventually will be given instructions for filing a petition for remission with GCG. They will check what we send them against what the DOJ says about each petition and only then will a determination be made whether or not the petition will be granted. This development comes as a consequence of the settlement agreement back in July that saw PokerStars acquiring FTP’s assets while also paying the U.S. government $547 million and handling paying back $184 million to non-U.S. Full Tilt players. 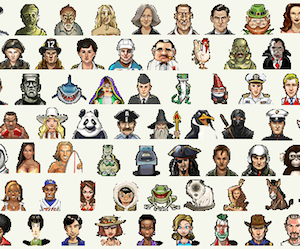 That latter settling of accounts with the non-U.S. folks was completed late last year when Full Tilt Poker 2.0 was relaunched. I imagine it won’t be too long before we get a clearer picture of how much time this will all take, as well as ideas about any additional concerns any of us might have over still possibly not receiving our funds or any other associated hassles that might come with receiving them. From there, though, it might still take a while. Gonna be a long damn line, I know. The juxtaposition of the Pope-related tweets and the FTP-claims ones -- both coming with plenty of jokes and one-liners mixed in -- almost tempts me to draw some sort of comparison. That is to say, to explore and share the cynical feeling I have toward both subjects. But I’ll resist out of respect for those whose faith is genuine and for whom the Catholic Church imparts much that is constructive, including providing needed meaning to their lives. Can’t say the same for us poor saps who ever put any faith in the original FTP, though. Made it home yesterday in one piece. Am still looking to catch up on sleep, but am reasonably rested and glad to be staying put for the next month or so until I rejoin the WSOP Circuit in for a couple of events April. I’ve been contributing to the Ocelot Sports blog lately, writing alongside Dr. Pauly and a few others. Last week we did a couple of “round table” posts in which we took a shot picking the over/unders for win totals for all 30 Major League Baseball teams this year. Here are those posts, if you’re curious, one each for the American League and the National League. I’ve been posting a couple of times a week over there since December. Recent contributions included a post about my ambivalence regarding NASCAR (despite living right in the heart of race country) and another about how all the conference realignments and rapid turnover of rosters these days is affecting my college hoops watching. 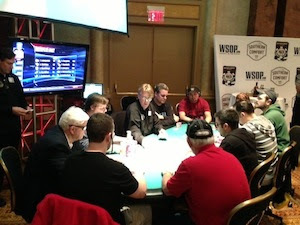 Writing about sports over the last few months has gotten me thinking more specifically about sports writing, and in fact as I was helping cover that WSOP Circuit event at Caesars Atlantic City I was again considering how much a poker tournament resembles a sporting event, especially when it comes to reporting on it. I’ve always maintained that poker is best thought of as a game and not a sport, although as I say the dynamics of a tournament most certainly resemble certain sports, particularly individual ones like golf or tennis. Thus does reporting on a poker tournament often have a lot in common with other kinds of sports writing. For one thing, like with sports writing, writing about poker is especially “results oriented,” with a primary focus on outcomes and reporting winners and losers. We frequently fall into talking about things like momentum and “comebacks” and players “dominating” opponents or the field as a whole, too. And we focus a lot on “play-by-play”-type relating of hands, narrowly concentrating on specific actions, especially when the contest is still ongoing. However, I can also think of some significant differences between reporting on a poker tournament and, say, writing an article about a game of basketball or football or baseball or soccer or some other sport. One obvious difference has to do with the fact that just as poker is a “partial information game” for the players, the same goes for reporters. We can’t see everything, obviously, and so cannot report comprehensively on even a single hand. Even with hands that go to showdown, we never know what other players folded. 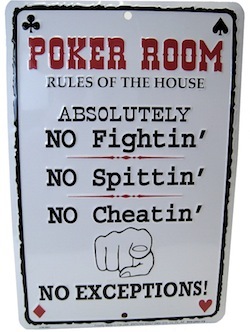 Unlike a basketball game where all of the actions by all ten players are plain for everyone to see, such is never the case in poker. We also lack a lot of contextual information, too, when reporting certain “plays” or hands in a poker tournament. Unless we’re at a final table where we’ve witnessed every hand played, we generally don’t know everything about what has happened in earlier hands involving players whom we now see involved in a hand against each other. (Here is an old post titled “Anatomy of a Hand Report” in which I explored this point at length.) Meanwhile, when a play happens on the football field, we know all of the plays that went before and how they might potentially relate to the present one. 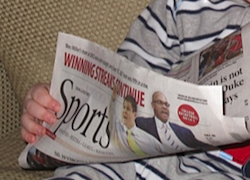 There are more differences between reporting on poker tourneys and reporting on sporting events. In fact, for people who don’t play poker or who aren’t interested in the game, the contrast between watching a card game and a real sport couldn’t be greater. But for those of us who understand and enjoy the game, watching a tourney play out really can resemble watching a sport. So it makes sense sometimes to report on it in ways that are similar. 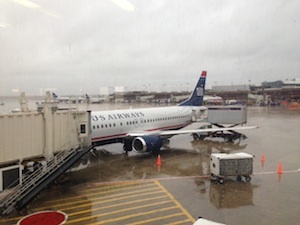 It’s a cold, gray day in Philadelphia this morning. I am sitting at one of the gates in terminal B at the Philly airport, where the seats, carpet, and walls are all gray as well. A bit of a contrast from the colorful scenes I have been witnessing the last three days helping cover the World Series of Poker Circuit Caesars Atlantic City Main Event. As has become a habit of mine lately, I’ve arrived for my flight a couple of hours early. I might have taken a later train from Atlantic City and thus cut down on the waiting time, but I decided against chancing any possible weirdness that might have arisen along the way to create problems for arriving ahead of my departure time. After those first two marathon days (discussed here and here), yesterday’s third and final day ended in relatively rapid fashion. Of course, it was still a 12-hour day, as play began at noon, ended a little before 11 p.m., and it was after midnight by the time my last task was completed. Joseph McKeehen took the sucker down, leading the entire final day as the tourney played down from 19 to one. Indeed, once the final table began he had close to half the chips in play, and around four times the stack of the player in second position. Thus were there a number of short stacks, and the formula added up to one of the quicker final tables they’ve had on the WSOP-C this year (if not the quickest), ending in less than three 75-minute levels. McKeehen is just 21, but already has two six-figure cashes under his belt now thanks to yesterday’s $174,150 score. He was kind of an entertaining player to cover, a friendly guy who provided a lot of fun (and at times funny) table talk along the way. He also was following the live blog on his iPad for a lot of the tournament and would sometimes engage us with responses to the hand updates, which occasionally helped make things a touch more interesting for us, too. Actually there were a number of interesting personalities at the final table. Raymond Morgan was an amiable guy who engaged Kevin and I frequently during the tourney’s last couple of days. Meanwhile, white-haired Tom Sheets finished 10th (thus not quite making the “official” final table). He amazed everyone at one point yesterday when he revealed he was 76 years old. Among other facts about himself, he additionally mentioned being able to do 120 push-ups as part of the explanation for his not necessarily appearing his age. Dennis Thurman, who finished fourth, was another old-timer at age 64, and he also surprised his opponents who’d guessed him to be younger. He explained how he still works full-time driving a truck, and in fact plays about 100 tournaments a year as he tours the country. Two-time WSOP Circuit ring winner John Holley (aged 51) and Leo Walker (aged 46) were also at the final table, helping further to make the average age much higher than what one usually sees among the final ten of a tourney. You’ve read me writing of physical exhaustion and mental fatigue the last couple of days, but I have to say seeing these older fellows’ performance as they played (and thrived) through 30-odd hours of poker was somewhat inspiring. Poker most certainly is a game for all ages. And as if to prove that truism, it was the youngest player of the final table -- and perhaps one of the youngest among the 540 entries overall -- who ultimately triumphed. Despite the heavy workload, it was great fun working with Kevin, Nolan, and the rest of the WSOP folks, many of whom I’m starting to get to know after having done a couple of Circuit events already this year. I’ll be doing two more east coast WSOP-C tourneys in April, too, and so expect to see them and probably a lot of the same players again as well. Am glad now, though, to be heading home where I’ll stay put for the next month or so. Still consider myself part-time when it comes to this traveling reporter thing, which is how I like it. Kind of like being a “recreational player,” you might say, which kind of makes it easier to keep enjoying doing these things and get some pleasure out of the work involved. We are getting close to boarding time. Still gray out, though the sky is starting to brighten just a bit. Maybe by the time I get back home there will be some blue to greet me. It’s a grind, man. These WSOP-C events, I mean. Was lamenting the lost hour (to the start of Daylight Savings time) in yesterday’s post, and how much we all missed that extra time to rest and recover following a 15-hour day. Had another 15-hour one yesterday for Day 2. Longer, actually, as play started at noon, ended around 2:30 a.m., with work starting before and ending after. Today’s Day 3 may well match the first two days, too, I imagine, as far as how long it will take is concerned. With the late re-entries, yesterday the tourney began with 299 players and over the course of all those levels and hands of poker just 19 made it through to the final day of play that again will start at noon. They will have to play down to a winner today and tonight, so I imagine it’ll be some time after midnight again before it’s all done and dusted. I definitely felt myself wearing down a bit yesterday, with all the standing, running back and forth between the floor and the laptop, and constant mental challenge to blog, count chips, keep track of bustouts and winners, and so on reminding me over and over how much I’d missed getting a decent night’s sleep. I didn’t even mention yesterday how about an hour after hitting the hay there was an alarm that went off down in the casino that kept on bleating for nearly 15 minutes, long enough to wake up the whole hotel including yours truly. 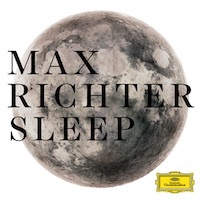 Was one of those “whoop whoop whoop” repeaters that after grabbing the attention went on long enough to inspire first a studied analysis of the slightly different pitches of the three notes, then plunged the listener into terror-filled anxieties that it would never, ever, ever stop. But stop it did, and we all got a few more hours of slumber before play began. 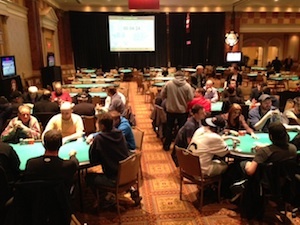 The afternoon saw over 200 players eliminated, then after dinner the bubble burst. Lana O’Brien who was of the blogging crowd some time back (working for CardRunners along the way, I believe) made the money, but just barely as she was knocked out along with another player, Patrick Chan, during hand-for-hand play which meant the two of them split 54th-place money. Basically amounted to getting not quite the buy-in back, but better than getting none back at all. Both Christian Harder and Matt Glantz made the money, but both were short when the bubble burst and ended up going out in 35th and 27th places, respectively. The big leader heading into today is Joseph McKeehen with about 1.9 million. McKeehen was involved in what was easily the most memorable sequence of the day when he managed to pick up pocket aces on consecutive hands to knock out two opponents, with one of those pots being over a million. Was kind of funny as earlier in the night after the money bubble had burst he’d said something to me about how the “made-for-TV” hands were coming after we’d seen a K-K-versus-A-K encounter knock out another player. I’ve commented before here how covering these events amounts to a kind of intense immersion into the very specific experience of a tournament, made even more so when you find yourself spending two-thirds of your waking hours with it. 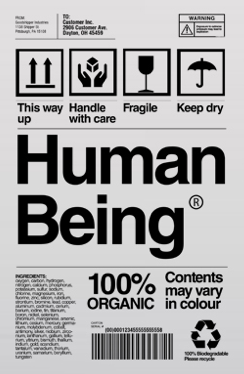 And, really, nothing else. Everything happening outside of the room kind of fades away as long as the tournament lasts -- at least that’s the case for me, as I have trouble being able to do much of anything else when I’m covering a tourney. My blogging partner Kevin (“tayke2”) helped make things easier for me during the long day, of course, as did Nolan Dalla here reporting for the WSOP site. Also going a long way were several statements of support from players during the day expressing appreciation for the updates. I can easily see how the bloggers who regularly work these WSOP-C events begin to develop a kind of camaraderie with the players who frequently play in them. Hard not to pull for them all, especially when it gets late in a tourney and everyone has similarly fought through the exhaustion and other challenges to persevere. No alarms last night, so somewhat better rested this morning. Click over to PokerNews today for coverage of Day 3 from Caesars Atlantic City, where Kevin and I will be using DeAndre Jordan as inspiration as we slam through the final day.